The state of Oregon has a lot of interesting historical tales for people. In his book Reporting the Oregon Story, Floyd J. McKay, has shed light on some of the fascinating chapters from modern Oregon history. The book focuses on the beginning of a new chapter in the history of the state, with Tom McCall being elected as the Secretary of State in the year 1964, while Bob Straub was elected as the State Treasurer. And the rivalry between these two individuals laid the foundation of two decades that transformed the political state of Oregon. The author paints a vivid picture of the battles fought, won and lost between the two, to take the readers back into the history of this amazing state! Being a veteran journalist, McKay witnessed all the events from the front seat at that time and has presented the facts and circumstance in amazingly lucid manner in his book. During his time as political reporter for The Oregon Statesman in Salem, McKay was always praised for putting tough questions to politicians and pulling no punches. From shrewd analysis of the McCall and Straub rivalry, to reporting the impact of Vietnam War on Senators Wayne Morse and Mark Hatfield, people still respect and remember him as a fearless reporter. And the list cannot be complete without the mention of how he reported the emergence of a new generation of Portland during the 1970s. The book also sheds light on the Oregon Beach Bill, which ensured protection of beaches for public use. While the activists were in full swing to create a highway on the sand at Pacific City, it was McKay and his colleagues who stood the ground and prevented it from happening. 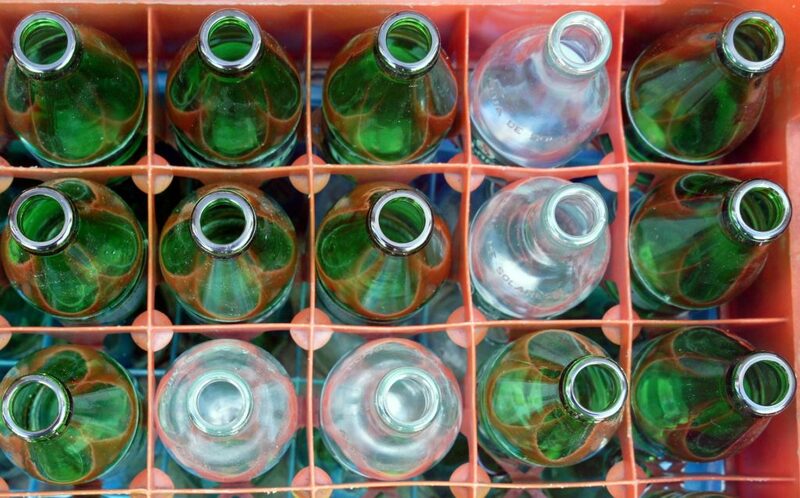 McKay is also remembered for his noteworthy contribution in the Oregon Bottle Bill, and the excitement of the country’s only State-sponsored rock festival – Vortex at that time! 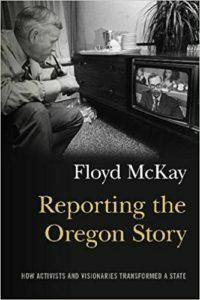 In the book, McKay remembers the time 1964-1986 as his active years as a fearless journalist, to give the reader an insight of how the state of Oregon evolved over the years to become what it is today. McKay also puts some light on the rise of new leaders while the older leaders simply faded away, reminiscing the legends of the State. In today’s time when everything, from media to politics, is filled with skepticism, the book Reporting the Oregon Story comes as a reminder of how the bitter rivalries and charged politics transformed Oregon into the state that it is today. As a reader you are going to relish the experience of reading this book, and reliving the history of one of the country’s most loved states. Reporting The Oregon Story will bring you the firsthand account of the State’s political history from a front row seat. And, it is definitely going to be an experience which you are going to cherish for years to come. So, read the book and get to know about it all. Everything You Need To Know About A Savory Favorite – Fondue!